In the splendid royal court of King Louis XIV of France, there were seven attractive noblewomen who caught the attention of every aristocrat in France. With their striking features, Italian mannerisms, and powerful family connections, these foreign beauties were destined for wealth, fame, and, in some cases, disaster. All made impressive noble marriages and all were unique in their own way. One was the mother of an ill-fated English queen, another was an alleged mistress of the Sun King himself who was forced to flee her home after she became embroiled in the infamous Affair of the Poisons. One was the first genuine love of the King of France and was denied happiness with the man she loved by her own family, another was a gorgeous bisexual who escaped her hellish marriage to find solace in the arms of the King of England. These are the Mazarinettes, some of the most prolific figures to ever grace the royal court of France. For nearly two decades, the most powerful man in France was not the king but his Chief Minister, an Italian Cardinal from a noble background named Jules Raymond Mazarin. Mazarin was the Cardinal-Duke of Rethel, Mayenne, and Nevers. He was appointed as the de facto ruler of France during the minority of King Louis XIV, who succeeded to the throne at the age of four in 1643. Mazarin effectively ruled the kingdom alongside the young King’s mother and regent, Anne of Austria, even after Louis reached his majority in 1654. Mazarin would continue to hold the reigns of government until his dying day in 1661. The Cardinal became a surrogate father and a political mentor to the King but he made sure to make his own mark on history. He played a large role in putting a stop to the tumultuous period of civil war known as the Fronde and shaped foreign policy by negotiating the Peace of Westphalia at the conclusion of the Thirty Years’ War, as well as achieving peace between France and Spain with the Peace of the Pyrenees. But perhaps he is most well known for his seven beautiful nieces who he personally arranged expedient marriages for to rich and powerful French and Italian nobles. His nieces, known collectively as the “Mazarinettes”, were famous at the French court for their exotic beauty, as well as their dynastic impact on the European aristocracy. Between 1647-55, the Cardinal summoned his sisters, Laura Margherita and Girolama Mazzarini, to live under his protection at court. He also asked that they bring their daughters, his nieces, with them at various times so that he could provide for them and marry them off to influential aristocrats, which would benefit not only the girls but the family fortune as well. His eldest sister, Laura Margherita, was the mother of two daughters - Anna Maria and Laura Mazzarini - while Girolama (whose married surname was Mancini) was a widowed mother of five daughters - Laura, Olympia, Marie, Hortense, and Marie Anne Mancini - and three sons. Mazarin also wanted his sisters and the girls nearby because he knew that he could trust members of his family as opposed to the conniving, greedy power mongers that populated the court. His desire to arrange prosperous marriages for his nieces was not solely for their benefit. Since he had no legitimate children of his own, the only way he could secure his legacy was through his nieces and nephews. Once the girls arrived in Paris, they were gawked at and whispered about by French society due to their “strange” appearances. At a time when pale skin, fair hair, and a full figure were praised, the Mazarinettes stood out with their dark Italian complexions and features as well as their slender frames and flamboyant mannerisms. Nevertheless, the Queen Mother, Anne of Austria, became a mentor to the girls and even educated the younger Mazarinettes with the King and his younger brother, the Duke of Orléans, who were about the same age as the Cardinal’s youngest nieces. With this action, the Queen Mother positioned the Mazarinettes on the same level as a legitimate child of royalty. The first of the Mazarinettes to marry was Laura Mancini, who wed Louis de Bourbon, Duke of Mercœur on February 4, 1651 at Bruhl near Cologne. Laura was fifteen at the time of her wedding while her bridegroom was thirty-eight, more than double her age. Louis was the son of César, Duke of Vendôme (an ancestor of Louis XV of France, Juan Carlos I of Spain, King Albert II of Belgium, Grand Duke Henri of Luxembourg, and Vittorio Emanuele, Prince of Naples), an illegitimate son of King Henry IV of France and his mistress, Gabrielle d’Estrées. Louis’s mother was Françoise de Lorraine, the wealthy daughter and heiress of Philippe Emmanuel, Duke of Mercœur. Françoise became the Duchess of Mercœur and Penthièvre in her own right upon her father’s death in 1602 when she was just ten years old. She passed on her titles and lands to her son in 1649, twenty years before her death, while Louis inherited his father’s dukedom upon his death in 1665. Though César succeeded in fulfilling his marital duty by having three children with his wife, he was also known for engaging in a number of homosexual affairs on the side. Unlike most men in his family, Louis was a loyal and pacific man who was, “gentle, pious, and tranquil.” Because he was of such a passive nature, he was seen as “mediocre” by the royal court and was viewed with disdain by his fellow aristocrats. Though he loved to make peace, not war, he had a career in the military and was named the governor of Provence in 1640. But luckily for Laura, she found that her much older husband was completely enchanted with her and she with him. 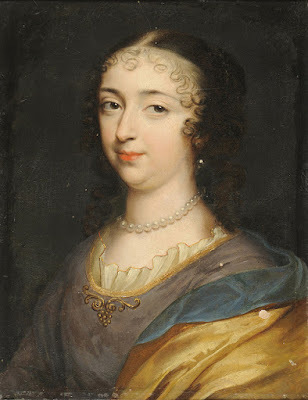 She had three sons with her husband during her time as the Duchess of Mercœur; the first, Louis Joseph, was born in 1654 when Laura was eighteen years old. Philippe followed in 1655 and the final and third son, Jules César (a namesake of his paternal grandfather) arrived in 1657. However, the birth of her third son cost Laura her life. She died almost two weeks after the birth on February 8, 1657 at the young age of twenty in her adopted home of Paris. Jules César didn’t live long either; he died in 1660 at the age of three. After Laura died, her widowed husband became a cardinal and legate of France. He sent his young sons to be raised by his sister-in-law and Laura’s youngest sister – Marie Anne Mancini. Louis died twelve years after his wife on August 6, 1669 at the age of fifty-six. Laura and Louis’s eldest son, Louis Joseph, became the Duke of Vendôme upon his father’s death. He was a successful French military commander as the Marshal of France during the War of the Grand Alliance and the War of the Spanish Succession and is remembered as “one the most remarkable soldiers in the history of the French army.” Although he was married to the daughter of the Prince of Condé – Marie Anne de Bourbon – he had no children most likely because he, like his grandfather, was a homosexual. When he died on June 11, 1712 at the age of fifty-seven, his younger brother, Philippe, inherited the duchy of Vendôme. Philippe, like his brother had a career in the military, although his was not as impressive. As he died unmarried and without issue in 1727 at the age of seventy-two, the dukedom of Vendôme fell into extinction. After Laura Mancini, the next of the Mazarinettes to marry was her cousin and the oldest daughter of Laura Margherita – Anne Marie Martinozzi. 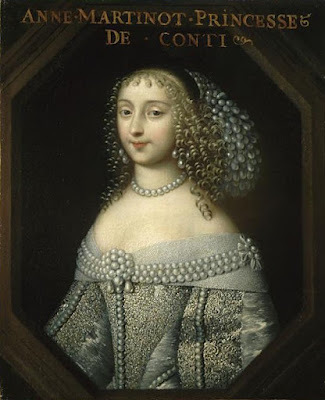 The blonde Italian married Armand de Bourbon, Prince of Conti on February 22, 1654 at the Palais du Louvre when she was no older than seventeen and Armand was twenty-four. Anne Marie had been disappointed with her betrothed at first since he was an unattractive hunchback with an, “uncertain disposition” and, “alternate fits of devotion and debauchery.” Armand wanted to marry Anne Marie not out of love but for power, as he longed to achieve a high position in government from the Cardinal if he wed his niece. Eventually, the couple warmed up to each other and lived respectfully in Guienne and Languedoc where Armand was governor. 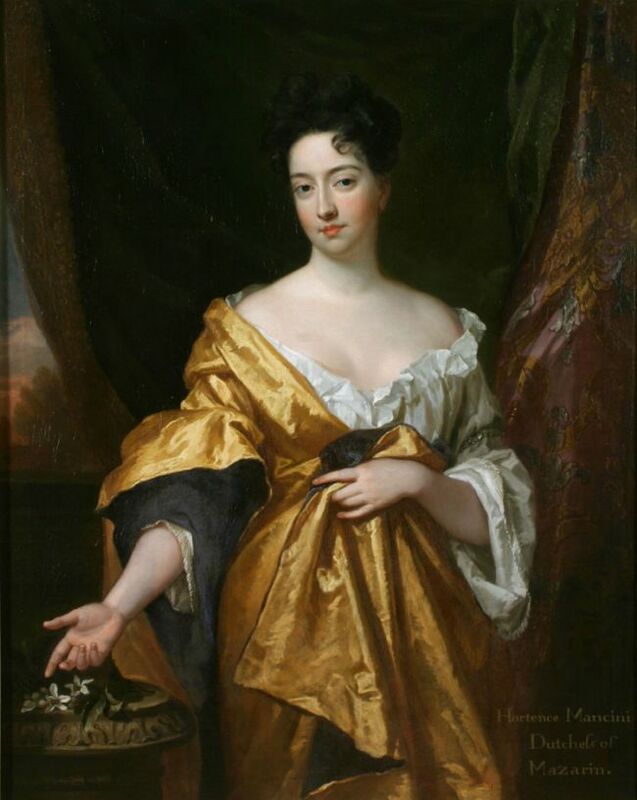 Anne Marie, now the Princess of Conti, spent most her time dedicating her efforts to charitable causes such as visiting the poor, giving her money to the needy, and using her influence with the King to help the lower classes. Anne Marie and Armand had three sons; their first, Louis, was born on September 6, 1658 but died just eight days later. Their second child, Louis Armand, was born on April 4, 1661 and their third child, a son named François Louis followed on April 30, 1664. Less than two years after their third son’s birth, Armand died on February 26, 1666 at the age of thirty-six in Pezenas. His eldest surviving son, Louis Armand I, who was not yet five years old at the time of his father’s early death, inherited his title. Anne Marie, widowed before she was even thirty years old, only survived her husband by six years before her death from apoplexy on February 4, 1672 at the age of about thirty-five. She didn’t live to see both her sons marry in 1680. Louis Armand I wed his cousin, Marie Anne de Bourbon, the favorite child of King Louis XIV and his mistress, the beautiful Louise de La Vallière, while François Louis married Marie Thérèse de Bourbon, the daughter of the Prince of Condé and Anne Henriette of Bavaria, a great-granddaughter of King James I of England through his daughter, Elizabeth Stuart, Queen of Bohemia. Since Louis Armand and his wife were only young teenagers at the time of their wedding, they had a bad experience during their first night together (neither had been educated in the art of consummation), which resulted in Louis Armand never sleeping with a woman ever again. Therefore, he was childless when he died from smallpox on November 9, 1685 at the age of twenty-four. His younger brother, François Louis, who also had a troublesome marriage, succeeded him as Prince of Conti. Though his wife was head-over-heels in love with him, he had homosexual inclinations and was infamous for his disgraceful reputation as a libertine. 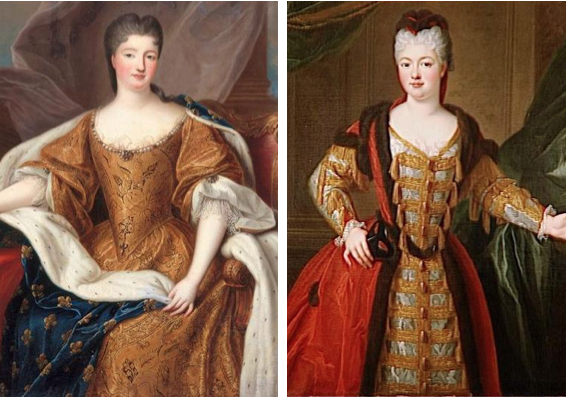 He barely paid attention to his devoted wife and was actually in love with her sister-in-law, Louise Françoise de Bourbon, Duchess of Bourbon, the eldest legitimized daughter of King Louis XIV and Madame de Montespan. Nevertheless, he managed to produce seven children with his wife, only three of whom survived infancy – two daughters and one son. 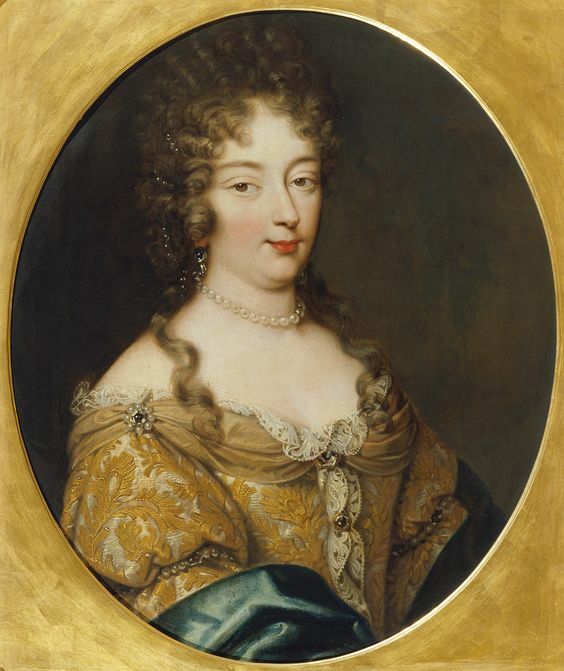 His eldest daughter, Marie Anne de Bourbon, Duchess of Bourbon, married but had no children while his youngest, Louise Adélaïde de Bourbon, never married but had many illegitimate children. His son, Louis Armand II, succeeded him as Prince of Conti upon his death on February 9, 1709 at the age of forty-four from gout and syphilis. Louis Armand II married a legitimized daughter of King Louis XIV and Madame de Montespan named Louise Élisabeth de Bourbon, who he had one surviving son and daughter with. Laura Martinozzi, the younger sister of Anne Marie, Princess of Conti, was the next of the Mazarinettes to be married off. On May 27, 1655, Laura was married by proxy at the Palace of Compiègne to the eldest son and heir of Francesco I d’Este, Duke of Modena and Reggio – Alfonso d’Este. Alfonso, who was five years Laura’s senior, was related to the Medici family through his father as well as the royal families of France and Spain (his paternal great-great grandparents were Philip II of Spain and Elisabeth of Valois, daughter of King Henry II of France). His mother, Maria Caterina Farnese, was the daughter of Ranuccio I Farnese, Duke of Parma, and a descent of Charles V, Holy Roman Emperor, as well as King Manuel I of Portugal. The marriage between Alfonso and Laura was arranged because Alfonso’s father, one of France’s best generals, wanted the support of Mazarin against Spain. After her proxy marriage, Laura moved back to her birthplace of Italy to meet her husband for the first time at her new home of the Ducal Palace of Modena. Three years after the marriage, Laura’s father-in-law died and her husband became the Duke of Modena and Reggio as Alfonso IV d’Este, making her a Duchess. The pious and demanding Laura had three children with Alfonso but just two survived infancy. Their first child, a son named Francesco, was born in 1657 when Laura was no more than eighteen years old. However, Francesco didn’t survive long and died just a year after his birth. 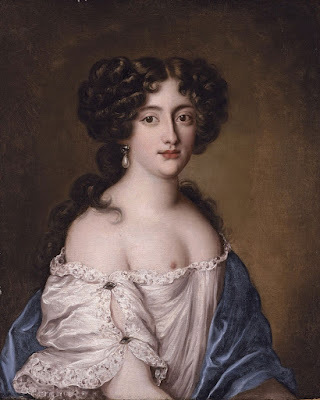 Laura’s second child was a daughter named Maria Beatrice who was born just nine days before her parents became the new Duke and Duchess of Modena and Reggio on October 14, 1658. In 1660, Laura gave birth to her last child – a son named Francesco II. Alfonso IV d’Este had never been of robust health and on July 16, 1662, he died at the age of twenty-seven from gout and tuberculosis after a little less than four years of being Duke. His only surviving son, the two year-old Francesco II, succeeded him with Laura, widowed at the age of twenty-three, as his regent. She ruled “with a firm and gentle hand” for twelve years and supported her duchy with her personal connections to France. In 1673, she left Modena to take her daughter to her betrothed in England but when she returned, she found that her fourteen year-old son (who was weak both in mind and body) had taken power into his own hands under the control of his illegitimate half-brother, Cesare. Laura, no longer regent, had no choice but to leave Modena for Rome where she lived until she died on July 19, 1687 at the age of forty-eight. Her daughter, the beautiful Maria Beatrice, became the second wife of King James II of England in 1673 when she was just fifteen years old. Her husband (who was just the Duke of York upon their marriage; he succeeded to the throne in 1685) was twenty-five years older than her at the age of forty. Maria, or, as she is more commonly known in England, “Mary of Modena”, had twelve children with James II but only two – James Francis Edward Stuart and Louisa Maria Teresa – survived past infancy. When James Francis Edward was born in 1688, the Catholic James II was deposed due to his religion in the Glorious Revolution in favor of his eldest daughter from his first marriage, Mary II, and her husband/cousin, William III, Prince of Orange-Nassau. James and Mary fled to France where they lived as monarchs in exile until their deaths. 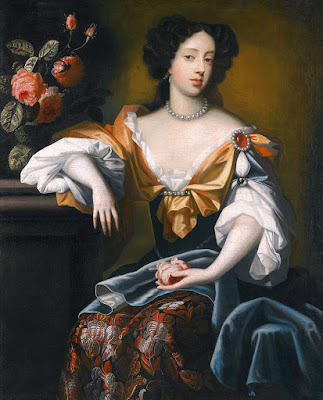 Mary of Modena died on May 7, 1718 from breast cancer at the age of fifty-nine. Her son, James Francis Stuart, known as the “Old Pretender”, claimed the English, Scottish, and Irish thrones after his father’s death in 1701 as the Jacobite pretender. He married a Polish princess, Maria Clementina Sobieska, who he had two sons with – Charles Edward Stuart (“the Young Pretender”) and Henry Benedict Stuart, Cardinal Duke of York. Mary’s daughter, Louisa Maria Teresa, never married or had children as she died at the age of nineteen from smallpox. Meanwhile, Mary’s brother, Francesco II d’Este, married his first cousin, Margherita Maria Farnese but they had no children. Francesco died in 1694 at the age of thirty-four and was succeeded by his uncle. The fourth Mazarinette to marry was the second daughter of Girolama – Olympia Mancini. Olympia married Eugene Maurice of Savoy, Count of Soissons on February 24, 1657 when she was eighteen and he was a few days shy of his twenty-second birthday. Eugene was a prince of blood in France through his mother, a Bourbon princess, and though he wasn’t very intelligent, he was a good soldier. His paternal grandmother was Infanta Catherine Michelle of Spain, the youngest surviving daughter of Philip II of Spain and Elisabeth of Valois (by this descent, he was the first cousin once removed of the husband of his cousin-in-law, Laura Martinozzi – Alfonso IV d’Este, Duke of Modena and Reggio), and his paternal grandfather was Charles Emmanuel I, Duke of Savoy, a grandson of Francis I of France and Princess Claude, Duchess of Brittany. Eugene Maurice was deeply in love with his beautiful wife and spoiled her rotten, even going as far as to ignore the various affairs and scandals she was involved in at court. Meanwhile, the flippant Olympia cared little for her loyal spouse. The new Countess of Soissons was appointed as the Superintendent of the Queen’s Household in 1661, which made her the most prominent woman at court after the Princesses of the Blood. But this newfound influence and authority did nothing to improve Olympia’s personality, as she was an innate gossip with a flair for intrigue. 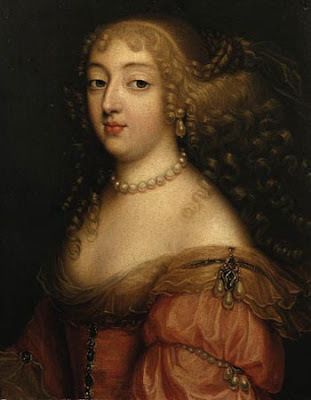 She was rumored to have been a mistress of the King himself before her marriage for a short period of time and was a close friend of his sister-in-law (and alleged lover), Henrietta, Duchess of Orléans, the most fashionable and popular woman at court. Olympia had eight children with her love-struck husband before his death from a fever in 1673 at the age of thirty-eight, all of whom survived infancy. They had five sons but just one married and had children. Not much is known of Olympia’s three daughters. Interestingly enough, there were claims that Olympia’s eldest son was actually an illegitimate child of the King. 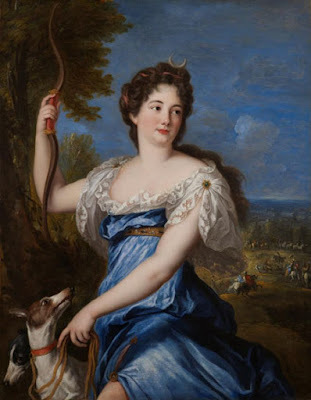 Six years after her husband’s death, Olympia became involved in the disreputable Poison Affair where she was accused of having plotted to poison the King’s mistress, Louise de La Vallière, and threatening the King to “come back to [her], or [he would] be sorry.” She was also rumored of poisoning her late husband and the daughter of her late close friend, the Duchess of Orléans - Marie Louise, Queen of Spain. All these accusations resulted in Olympia being banished from France. She moved to the Spanish royal court where she was expelled from in 1690. Olympia, who always maintained her innocence, moved to Brussels where she remained until her death on October 9, 1708 at the age of seventy. Her most prominent child was her youngest son, Prince Eugene of Savoy, who was one of the most successful military commanders in the history of modern Europe. He fought for the Holy Roman Empire as the general of the Imperial Army during the Great Turkish War, the Nine Years’ War, the War of the Spanish Succession, the Austro-Turkish War of 1716-18, and the War of the Polish Succession. Eugene never married or had children and is thought to have been a homosexual. Marie, now the Princess and Duchess of Paliano, lived with her husband at his palace in Rome. Lorenzo was a rather uninteresting man who didn’t hold much regard for honor. But despite this, the couple were happy during their early years of marriage, especially after Marie gave birth to three sons in quick succession. The first, Filippo II, was born in 1663 and was followed by Marcantonio in 1664 and Carlo in 1665. The Prince and Princess of Paliano greatly supported and promoted the arts, so much so that many artists dedicated their works to Marie and her husband. Their palace was renowned for its, “artistic grace and luxury,” as well as its, “Parisian fashions of cards, theatricals, and dances, and the Parisian freedom of conversation, that shocked Roman prejudices and caused few husbands to allow their wives to be seen in the Palazzo Colonna.” But Marie’s marriage to Lorenzo fell apart soon after the birth of their third and final child because of Lorenzo’s extramarital affairs and Marie’s unwillingness to have any more children. 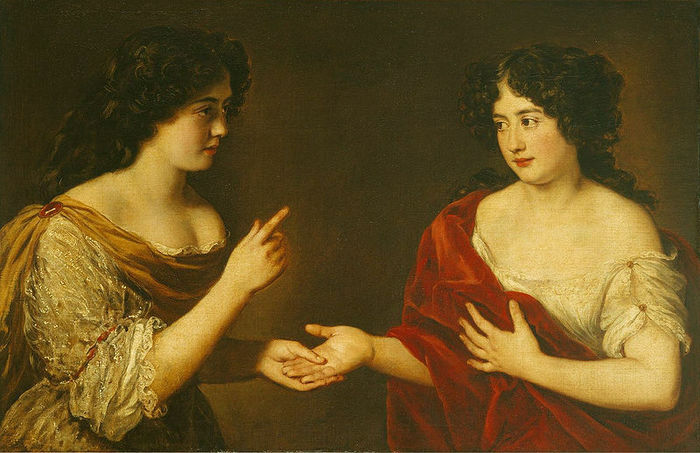 In 1668, her younger sister, Hortense, fled her horrible husband to find solace with Marie in the Palazzo Colonna. 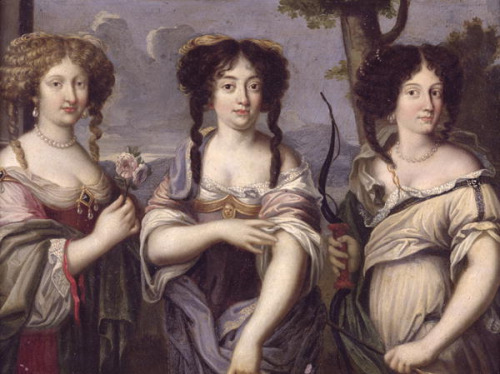 It seems as though the rebellious Hortense inspired her older sister (who was now terrified that her husband was harboring a desire to kill her) to escape with her to Rome in June of 1672. The sisters didn’t stay in Rome for long and left the city dressed as men for the coast of Provence where they parted ways – Hortense to Savoy and Marie to Paris. She hoped to find support from her old lover, the King, but Louis did not welcome her with open arms. Instead, he refused to see her and banished her from the court. 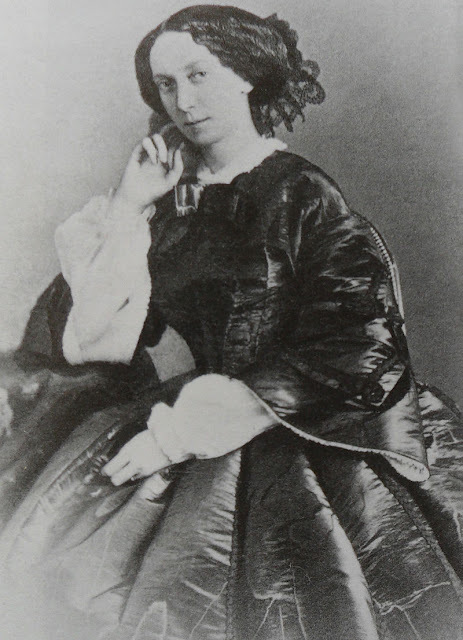 After this denial, Marie lived a “wandering life” for some live, first staying with Hortense in Savoy and then moving on to Switzerland and Spain. She lived in various convents on her husband’s expense (though he did not willingly support her) until his death in 1689 when she went back to Italy, now fifty years old. According to contemporaries, she was even more beautiful in old age than she had been in her youth. She died on May 8, 1715 in Pisa at the impressive age of seventy-five. Her eldest son, Filippo II, became the 9th Duke and Prince of Paliano after his father’s death and married a Spanish aristocrat named Lorenza de la Cerda, a descendant from the noble family of Castile, in 1681. 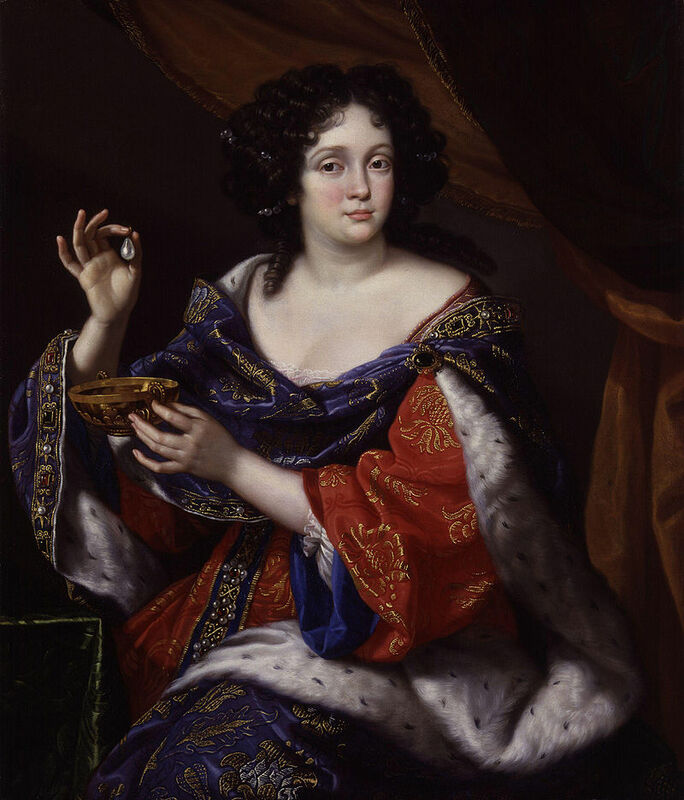 After she died without having children in 1697, Filippo II remarried an Italian noblewoman named Olimpia Pamphili, who he had several children with. Filippo died months before his mother in 1714 at the age of fifty-one from severe bladder stones and kidney disease. Not much is known of Marie’s two younger sons except that her youngest, Carlo, became a Cardinal. The fourth Mancini sister, the gorgeous Hortense, was the most beautiful and the most defiant of the seven Mazarinettes. Her sumptuous beauty and marvelous charm made her nearly impossible to resist for many men and women – including the future King Charles II of England. In 1659, Charles came to the French court to visit his maternal first cousin, the King, and found himself falling for the seductive Hortense, who was sixteen years his junior. In fact, when Charles first met the Italian beauty, she was just thirteen years old to his twenty-nine years. Charles asked her uncle for her hand in marriage, as he hoped her family’s wealth and connections would work in his benefit, but the Cardinal was quick to rebuke Charles’s proposal. 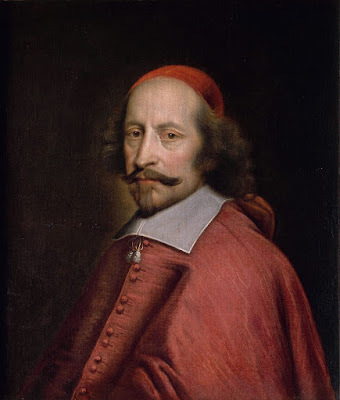 This was because Charles was just an exiled king, so the Cardinal believed that a match between his niece and the son of an executed and deposed monarch was far from idealistic. However, the Cardinal soon realized his error in turning down Charles when he was reinstated as king just a few months later. Mazarin hastily tried to reinvigorate Charles’s desire to wed Hortense with a promise of an enormous dowry but the new King was no longer interested in marrying someone who turned him down. The Cardinal knew that he would have to pursue other prospects for his favorite niece’s hand. Thus, on March 1, 1661, the fifteen year-old Hortense married one of the richest men in Europe, a French general named Armand-Charles de La Porte de La Meilleraye, who was fourteen years older than his bride. The day after their wedding, the couple was made the Duc and Duchesse de Mazarin. Although the marriage looked promising on paper, it would prove to be a complete disaster. Armand-Charles was an extremely odd, jealous, and stingy man. He was also spoiled, arrogant, and used to getting his own way since he had been born with a silver spoon in his mouth. It’s safe to say that he was mentally unstable, which his youthful, lively, and sociable wife bore the brunt of. He possessed an intense sexual jealousy towards Hortense coupled with an theatrical sense of morality. He demanded that the front teeth of all his female servants be knocked out so they wouldn’t attract the attentions of men and he also barred his dairy maids from milking cows because the sight of them squeezing the cows’ udders would excite any on-looking man sexually. The Duc de Mazarin also painted over or chipped away all the “dirty bits” in paintings in his own art collection. He suffocated Hortense to the point where he always believed that she was unfaithful to him and searched her room every night for hidden lovers. She was forbidden from ever being alone with a man and was compelled to spend the majority of her day at church praying “for forgiveness for the sins of the flesh.” Hortense revolted against her husband’s madness by engaging in a lesbian affair with a friend her own age named Sidonie de Courcelles. Their little tryst went on happily for some time until an enraged Armand-Charles discovered what they were doing and sent them off to a convent to “cure” them. This was futile, as the young girls were constantly creating trouble for the nuns by putting ink in the holy water, flooding the nuns’ beds, and climbing up the chimneys in attempts to escape. Eventually, Armand-Charles took his wife back and, astonishingly enough (considering their mismatched personalities), had four children with her. Hortense had her first child, a daughter named Marie Charlotte, in 1662 and a second daughter, Marie Anne, the following year. A third daughter named Marie Olympe was born in 1665 and in 1666, Hortense had her fourth and last child, a son named Paul Jules. Two years after the birth of her son, Hortense had enough of her horrible marriage. On the night of June 13, 1668, she left her children and husband with the help of her brother, Philippe, Duc de Nevers, and fled to Rome to live with her older sister, Marie Mancini, the Princess Colonna. Luckily enough for Hortense, she managed to procure the support of King Louis XIV himself who supported her flight from her marriage by granting her a large pension that allowed her to live independently. She used this money to buy a home in Haute-Savoie after leaving Rome with her sister and further managed to provide for herself by becoming the mistress of a former suitor, Charles Emmanuel II, Duke of Savoy, who made himself her protector until his death in 1675. After the Duke’s demise, his jealous widow kicked Hortense out, leaving her homeless and penniless since her estranged husband had managed to freeze her income (including the pension from the King). But Hortense’s fortunes changed when the English ambassador to Rome, Ralph Montagu, made her acquaintance and cooked up a scheme to use her to improve his political and social standing back home. He planned to bring Hortense with him back to England to win the heart of King Charles II, a past suitor, as his new mistress. With Hortense in the King’s bed, Montagu could use this as a way to gain favor and influence with the King and thus, the court. The audacious Hortense was eager to try this plan and quickly journeyed to England dressed as a man (she had a tendency to cross-dress, which is seen as an “outward expression” of her bisexuality) under the pretense of going to London to visit her niece, Mary of Modena, the newly wedded wife of the King’s brother. It didn’t take long for Hortense to find her way into the King’s bed; by the summer of 1676 she was the King’s new mistress (replacing his former favorite, Louise de Kerouaille) and was living large off a grand pension Charles had bestowed upon her. But the wild Hortense wasn’t faithful to the King in the least. In fact, her sexual escapades earned her the nickname of the “Italian Whore” by the English people. She had an affair with the King’s illegitimate daughter by Barbara Palmer, the Duchess of Cleveland – Anne Lennard, Countess of Sussex – a married woman who was fifteen years Hortense’s junior. Hortense even had a public fencing match with her young lover, both clad in nightgowns, for an audience of courtiers. This induced Anne’s husband to ship her off to the country to keep her away from Hortense. 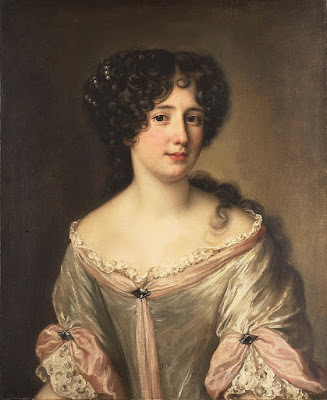 The Duchesse de Mazarin moved on from her young admirer quite quickly to begin an affair with Louis I, Prince of Monaco, which enraged Charles II so greatly that he cut off her pension and removed her as his favorite mistress. Eventually, he did reinstate her payments and the two remained good friends until Charles’s death in 1685. Hortense lived in England for the rest of her life at her sophisticated home in Chelsea. She stayed in the good graces of Charles’s brother and successor, James II, as well as his own successors, his daughter Mary II and her husband William III. She headed her own salon of intellectuals at her home until her death on November 9, 1699 at the age of fifty-three. It is said by some that she took her own life by drinking herself to death. Strangely enough, after her death her estranged husband claimed her body and took it with him wherever he went until he eventually allowed her remains to be buried in the tomb of her uncle, the Cardinal. Hortense’s oldest daughter, Marie Charlotte, married a French nobleman named Louis Armand de Vignerot du Plessis, Duc d’Aiguillon and Comte d’Agénias who she had one son with. Her younger sister, Marie Anne, never married and became an abbess while Hortense’s youngest daughter, Marie Olympe, married Louis Christophe Gigault, Marquis de Bellefonds et de Boullaye and had one daughter. Hortense’s only son, Paul Jules, became the Duc de Mazarin after his father’s death in 1713 and married a woman named Félice Armande Charlotte de Durfort who he had a son and a daughter with. His daughter, Armande Félice de La Porte Mazarin, married a Prince of Orange and had five beautiful daughters known as the Mademoiselles de Nesles. Four of these girls would become mistresses of King Louis XV. Paul Jules’s son, Guy Jules, also became the Duc de Mazarin after his father’s death. His descendants include the current royal family of Monaco. The youngest Mazarinette, Marie Anne Mancini, was the last to marry. When her eldest sister, Laura, the Duchess of Mercœur, died in childbirth in early 1657, the eight year-old Marie Anne took her late sister’s three sons into her home, despite her young age. When Marie Anne was thirteen years old, her uncle died in 1661. On his deathbed, he was approached by the well-known field marshal, the Vicomte de Turenne, who asked for Marie Anne to marry his nephew, Godefroy Maurice de La Tour d'Auvergne, Duke of Bouillon. The hesitant Cardinal died before agreeing or disagreeing to the match so Marie Anne’s mother betrothed her youngest daughter to the Duke of Bouillon herself. On April 22, 1662, Marie Anne (who was no more than fifteen years old) married the Duke of Bouillon at the home of her sister Olympia - the Hôtel de Soissons. Godegroy Maurice was thirteen years older than his bride and though he was a good solider, he was a blunt man with bad manners and little intellect. Thus, his young wife, the new Duchess of Bouillon (who was far more gifted and aspiring than her dull husband), lived rather independently for her time, as she was able to engage in her own political and literary pursuits without having to seek out her husband’s approval. She even had her own salon at her home of the Hôtel de Bouillon. Like her sister Olympia, she became involved in the scandalous Affair of the Poisons when she was accussed of planning to poison her husband to marry her maternal nephew, Louis Joseph, Duke of Vendôme (the eldest son of her sister, Laura). Unlike her sister, who had to flee France to avoid arrest, Marie Anne was not imprisoned, punished, or convicted. She had seven children with her husband between the years of 1665-1679, five sons and two daughters, all of whom survived infancy. Only five of her children married but just two of her sons had children who lived to adulthood. Marie Anne Mancini, Duchess of Bouillon, died on June 20, 1714 at the age of sixty-five while her husband died seven years later at the age of eighty-five.